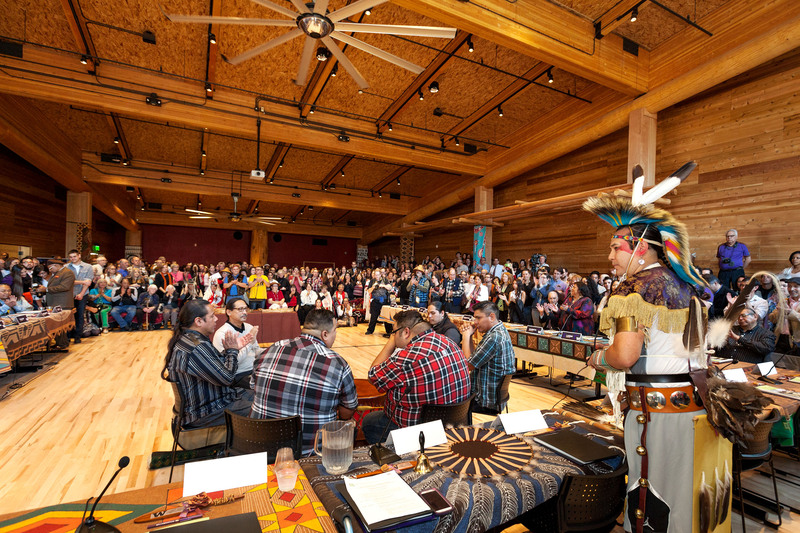 The wǝɫǝbʔaltxʷ– Intellectual House is a longhouse-style facility at the University’s Seattle campus based in the building traditions of the indigenous peoples of the Pacific Northwest. Its primary purpose is to increase Native American students’ success at UW, preparing them for leadership roles in their tribal communities and the region. 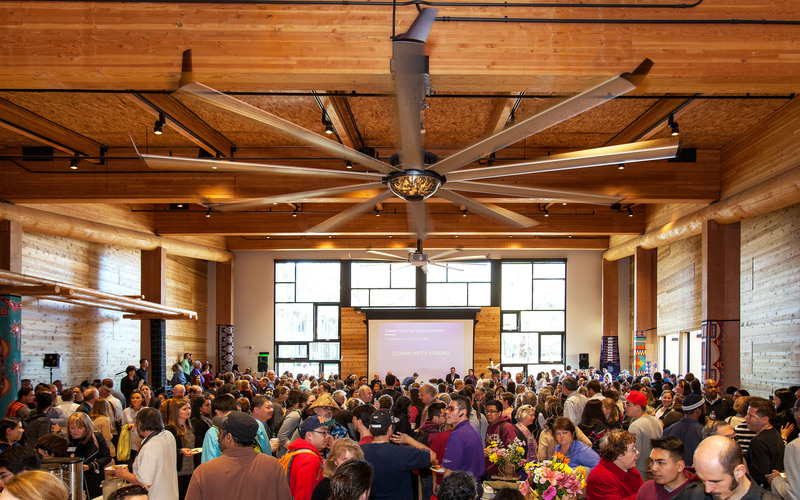 The building includes a large community gathering space, smaller meeting, study, and office spaces, and a commercial kitchen for community gatherings. The building is designed to use less than ½ of the energy of other similar buildings on the UW campus. The mechanical system includes a novel mixed-mode natural/mechanical ventilation design with an Energy Recovery Ventilator, and variable capacity heat pumps sized for space heating. Ecotope provided HVAC and plumbing engineering design, energy modeling, and energy efficiency consulting.